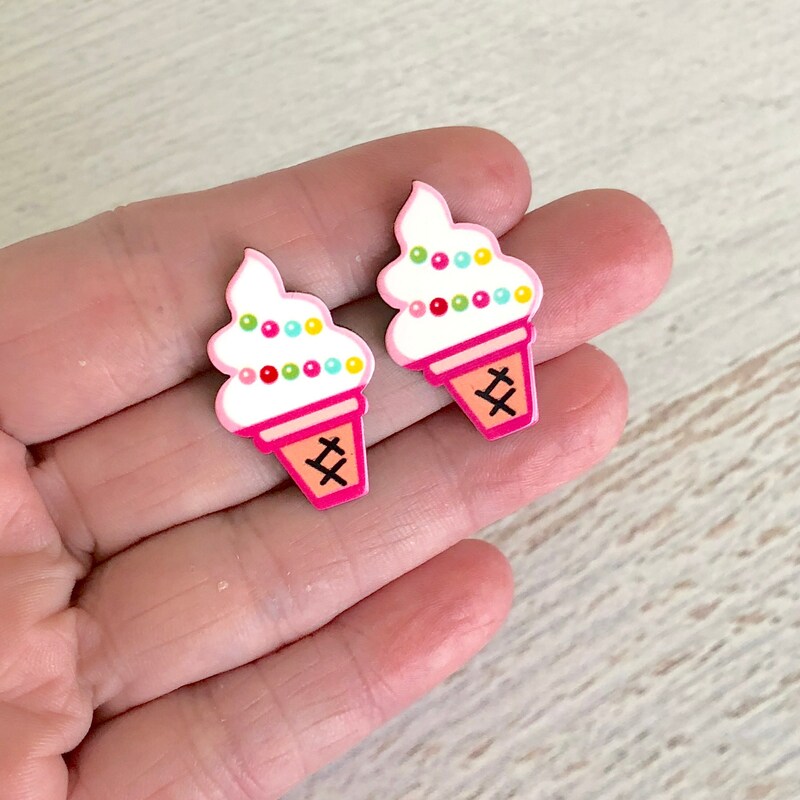 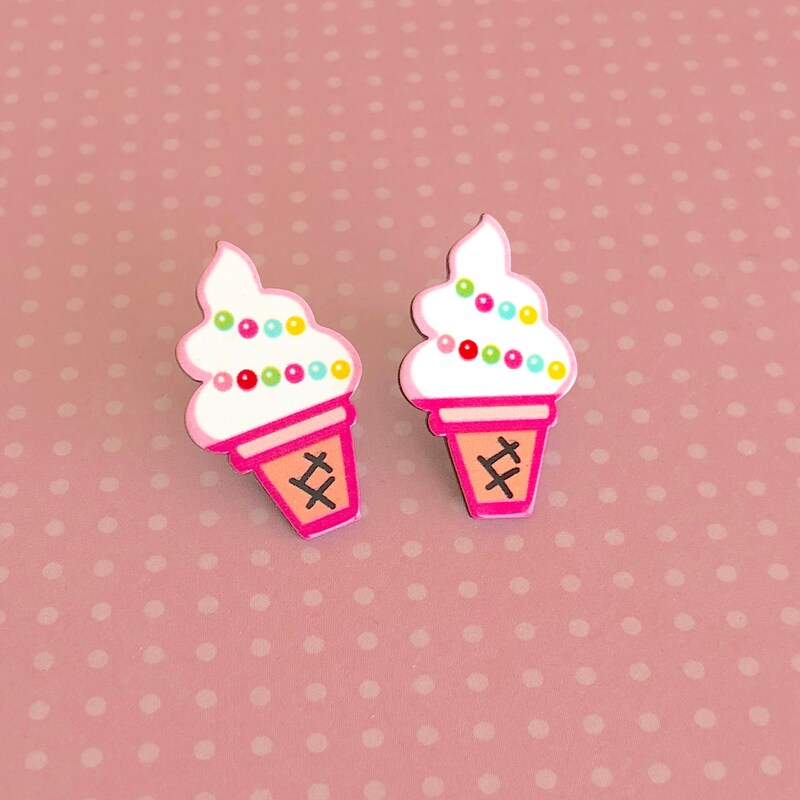 With it's pink waffle cone and colorful rainbow sprinkles on it's milky white soft serve swirled top, these ice cream cone earrings are sure to make a super cute statement. 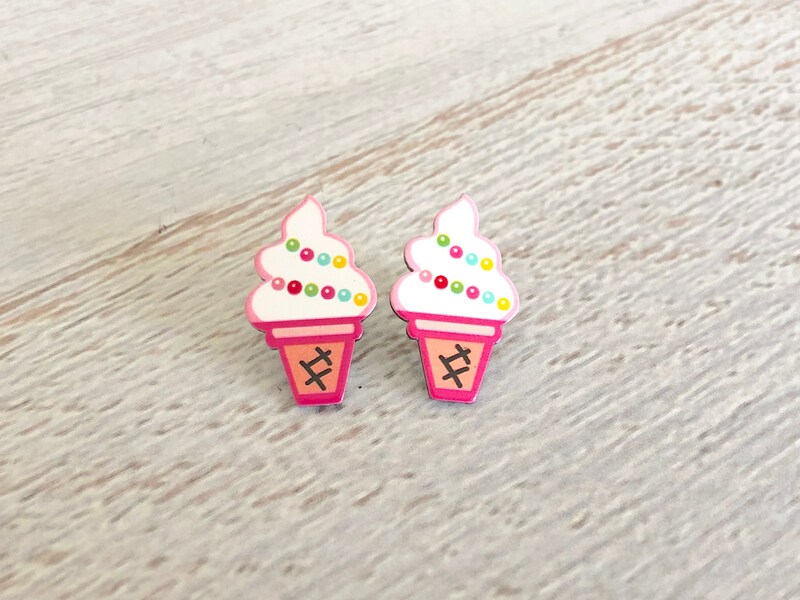 These are larger than most stud earrings I make so I placed the stud ear the top. 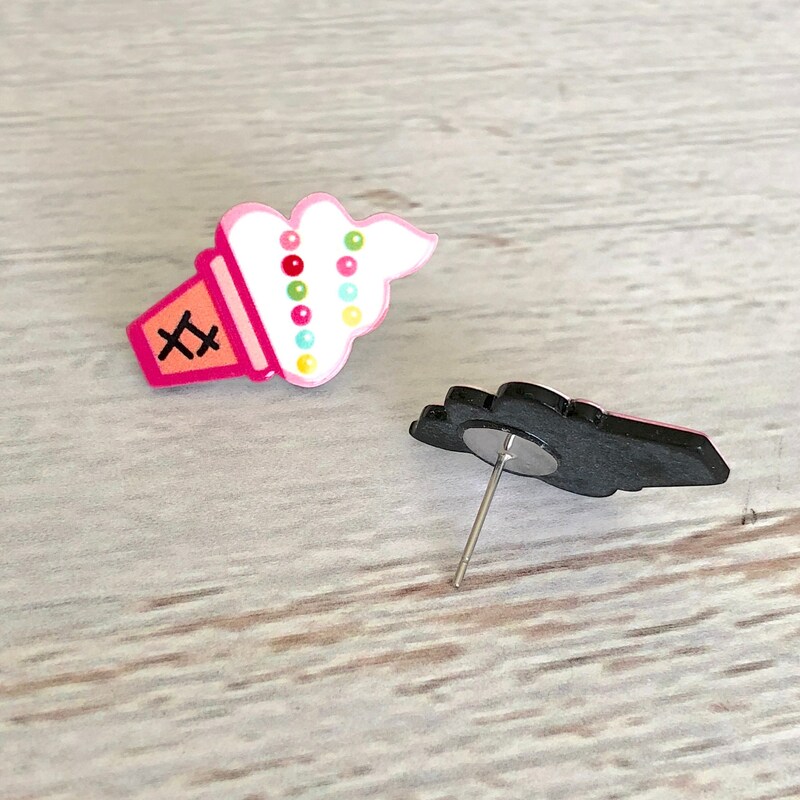 These measure approximately 1 1/8 inches tall and 5/8 inches wide (just over 1 inches in height and just over 0.5 inches at it's widest point). 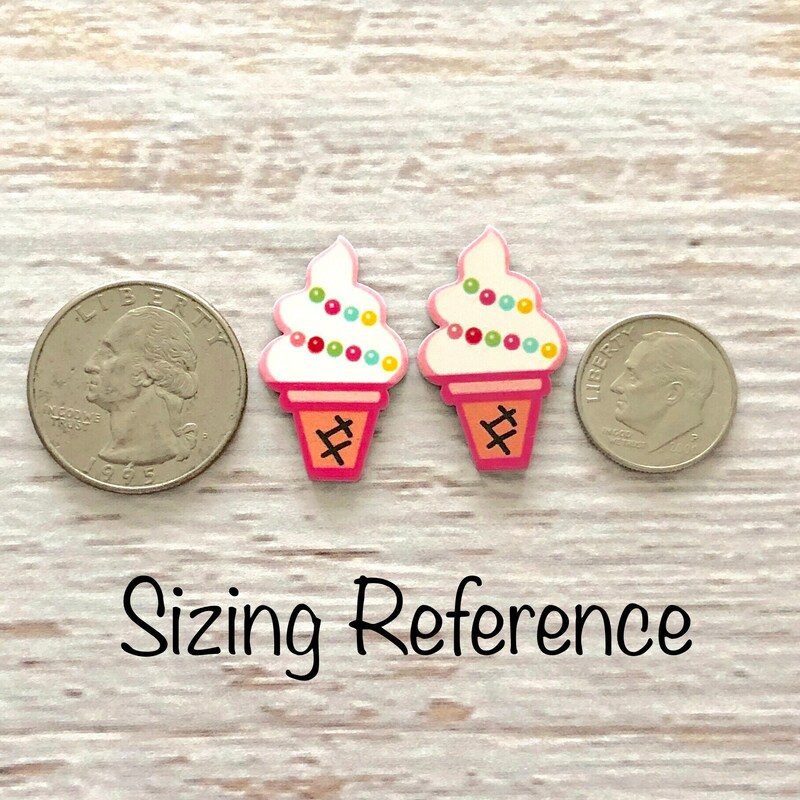 Please use photos of earrings in the mannequin and with coins for sizing references. 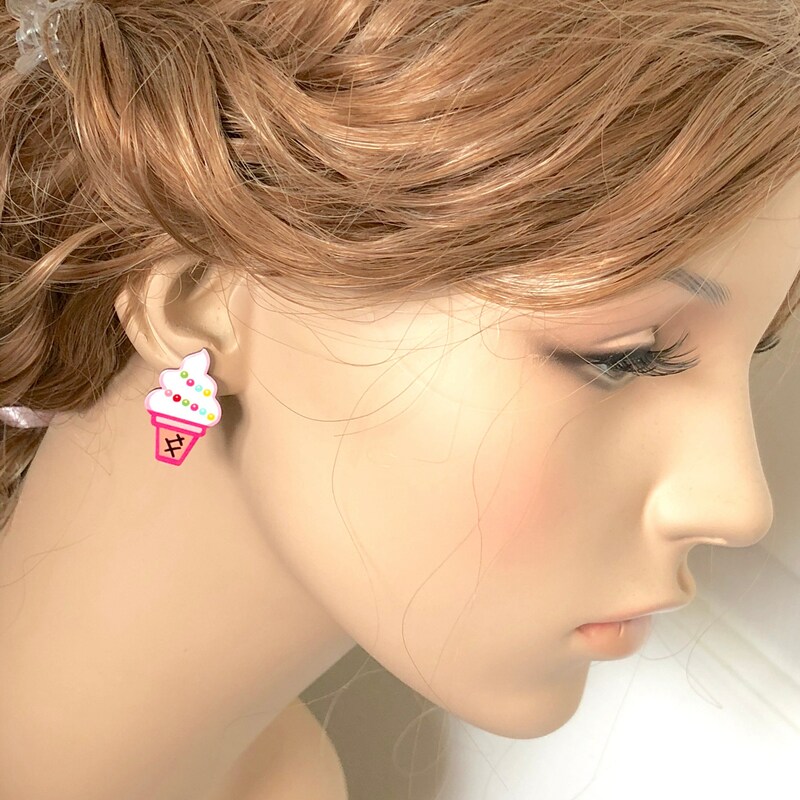 These earrings have surgical steel posts.